CinemaCon 2018 marked the farewell presentation for Twentieth Century Fox. And this year, Disney studio chairman Alan Horn folded the acquisition into the Disney show. As he praised “Bohemian Rhapsody” getting to an amazing $900 million, he sounded almost envious. And while he celebrated Fox Searchlight’s 25th anniversary with a tribute reel and as he touted their four Oscar Best Picture wins in 10 years, and recent Best Actress win for “The Favourite,” he made fun of last year’s winner “The Shape of Water.” “What is that, really?” he said. Sounding a note of cautious optimism, Horn said: “We believe that together, we will be more than the sum of our parts.” Pledging loyalty to the theatrical window as “we move forward together as one united company,” this respected senior executive looked a tad overwhelmed. He was already managing the teams from Disney (“Mary Poppins Returns”), Disney Animation (“Ralph Breaks the Internet”), Pixar (“Incredibles 2”), Marvel (“Avenger: Infinity War”), and Lucasfilm (“Solo: A Star Wars Story”). And now he has to bring in an entire other film studio on top of it — as he fires thousands of redundant staffers who did nothing to deserve their fate. 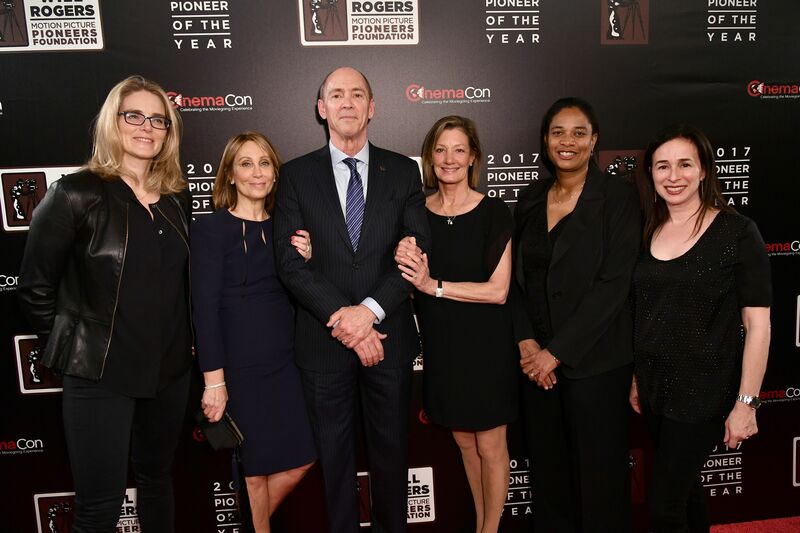 CinemaCon attendees, while eager to play the movies from both Fox and Disney in their theaters, couldn’t help but notice that Disney distribution chief Cathleen Taff, who was a newbie last year, has less showmanship in her whole body than departing Fox veteran distribution president Chris Aronson has on his little finger. The nagging question at CinemaCon: as Fox plays out its current slate, will it still make more movies? Which ones? Will there be a net loss of volume going forward? (Horn did excise Fox 2000.) Will Fox and Searchlight content wind up in theaters, or on Disney+? That is the question. Exhibitors can count on Disney to deliver them extraordinary blockbusters. The question is what happens to the mid-level product — the kind of movies Gabler will no longer be making at all. Horn assured that there will be plenty more Fox pictures to come. And Taff also awkwardly praised the executives at Fox who lost their jobs in this transition. “We’re proud of both studios,” she said, reminding that the two combined last year delivered five of the top 10 movies worldwide, and six of the top 10 domestically. That’s another issue going forward: an unprecedented dominant studio that could command some 40 percent market share. Already in 2019, “Captain Marvel” has become the seventh $1 billion hit for Marvel. Taff recognized that some adjustments will be needed on overlapping release dates for the two studios. (Updates are in the works.) Coming up at the end of the year are two films with no footage ready to show: Jennifer Lee and Chris Buck’s “Frozen 2” (Thanksgiving) and J.J. Abrams’ “Star Wars: Episode IX (December). Also not ready for CinemaCon primetime were two Fox 2000 titles: book adaptation “The Art of Racing in the Rain,” starring Milo Ventimiglia and Amanda Seyfried, which is getting good buzz, and Joe Wright’s “The Woman in the Window,” starring Amy Adams, Julianne Moore, Gary Oldman, Wyatt Russell, and Brian Tyree Henry. The first joint release for the two studios will come at for Easter, another Fox 2000 title, the true story “Breakthrough,” directed by Roxann Dawson and starring Chrissy Metz, Josh Lucas, and Topher Grace. The Disney movie most likely to top the year-end gross chart is Marvel’s “Avengers: Endgame,” directed by Anthony and Joe Russo, adding more digits to Marvel’s extraordinary 21-film global gross total: $18.5 billion. “Their cinematic universe has no equal,” said Taff. What happens next? 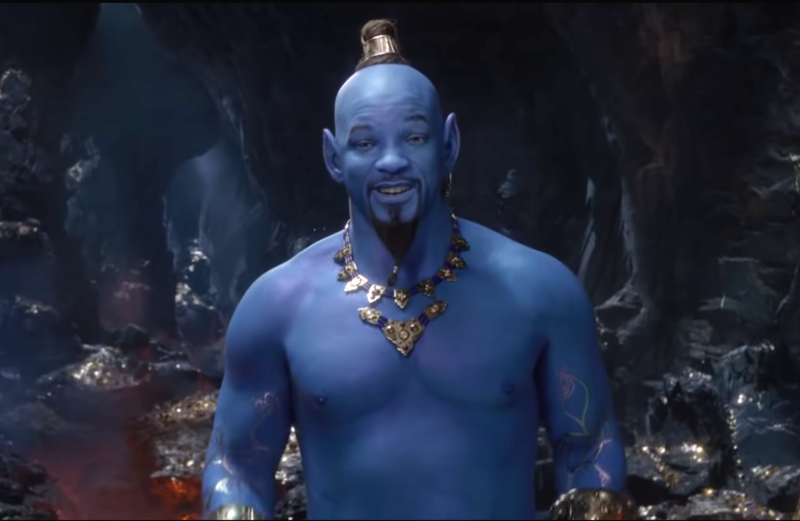 Watts will continue to mine the Fox past (“Deadpool,” “Kingsman,” “Planet of the Apes,” and “Avatar”) while delivering the present. 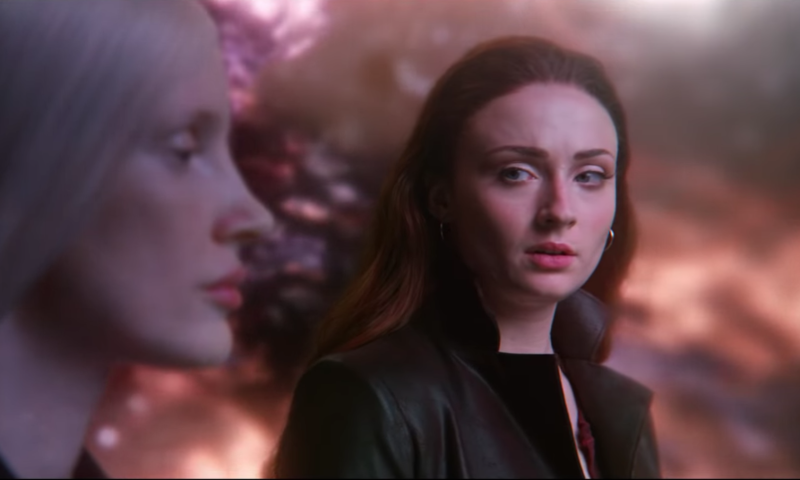 Fox showed a strong trailer for the final “X-Men” movie, Simon Kimberg’s “Dark Phoenix” (June 7), which throws powerfully enhanced out of control mutant hero Jean Gray (Sophie Turner) into the mix. As she lashes out at the ones she loves most, tearing her X-Men family apart, Charles Xavier (James McAvoy) looks for a solution. Magneto (Michael Fassbender) just tries to annihilate her, but she is too powerful. Buddy comedy “Stuber” (July 12) is not named after the Netflix executive, but rather an everyman Uber driver played by Kumail Nanjiani who is thrown into a night of intensely violent police work by a rogue-cop passenger (Dave Battista). The movie is about “competing versions of masculinity…of what it takes to be a hero,” said Watts. The kind of movie Fox will hopefully still get to make is one Watts herself described as being on the “endangered species list,” she said. “It takes a studio to make a movie of massive scale and scope with big ideas and the biggest movie stars inhabiting larger-than-life characters.” James Mangold’s “Ford v. Ferrari” (November 15) stars Matt Damon as a race-car designer enlisted by Ford to build a car to beat Ferrari at LeMans. Christian Bale plays the driver who can win. The real rouser is Jon Favreau’s extraordinary technological achievement “The Lion King” (July 19), which begs the question of what is a “live-action” remake of an animated original and what is an animated remake; these are animated characters voiced by actors inhabiting a realistic animated universe. Donald Glover, James Earl Jones, Alfre Woodard, Chiwetel Ejiofor, John Oliver and Beyonce star. Joachim Ronning’s “Maleficent: Mistress of Evil” (October) pits Angelina Jolie’s wicked mom who has raised Elle Fanning’s princess Aurora as her daughter against her fiance Prince Philip’s mother (Michelle Pfeiffer), who proves to be a worthy adversary. Pixar producer Jonas Rivera introduced 17 minutes of Josh Cooley’s “Toy Story 4,” which places Woody (Tom Hanks) into a new situation as his new owner Bonnie heads for Kindergarten. Never underestimate Pixar.